For me my hair is something that I have to take the most time with every morning and night; due to the fact that it is very long and I also dye it every three to four months to give me a reddish-brown finish. Therefore, it is paramount that I maintain the condition of my hair, and that is something that I have managed to keep consistent since I first started dying it. As someone who does colour their hair regularly, I know how important it is to use hair products that will only help the condition and finish of my hair. I have created a hair routine that has allowed me to do exactly that, even though I am very fussy when it comes to what products I use on my hair. Only my favourite products will make it into my bathroom and will be used on a daily basis. I want to introduce you to three products that have recently made it into my hair routine and I now can't live without. 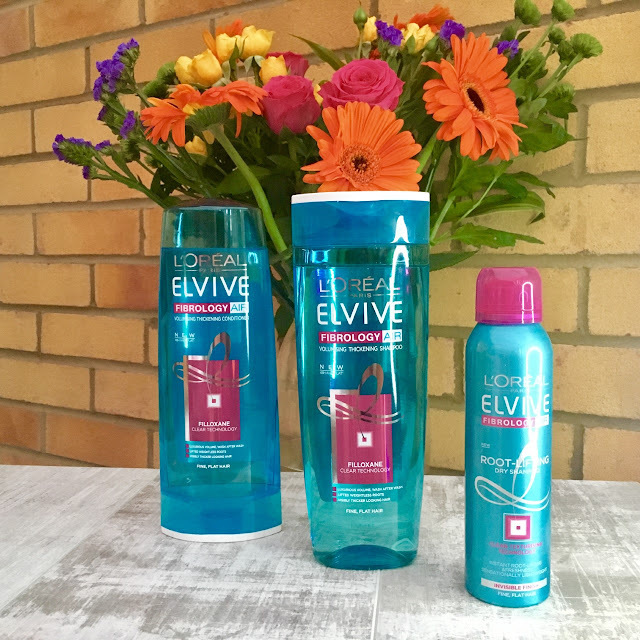 The new L'Oreal Paris Elvive Fibrology Air range has brought an affordable and amazing collection of products into my hair routine. When I was younger I had really thick and curly hair, but I hated it and now after almost a decade of straightening my hair on a really high heat, my hair has lost that thickness and is now not as curly as it use to be. Also, because of the length of my hair, it really struggles to hold a curl for more than a couple of hours, so recently I decided switching up my hair routine and found this new collection that L'Oréal brought out. 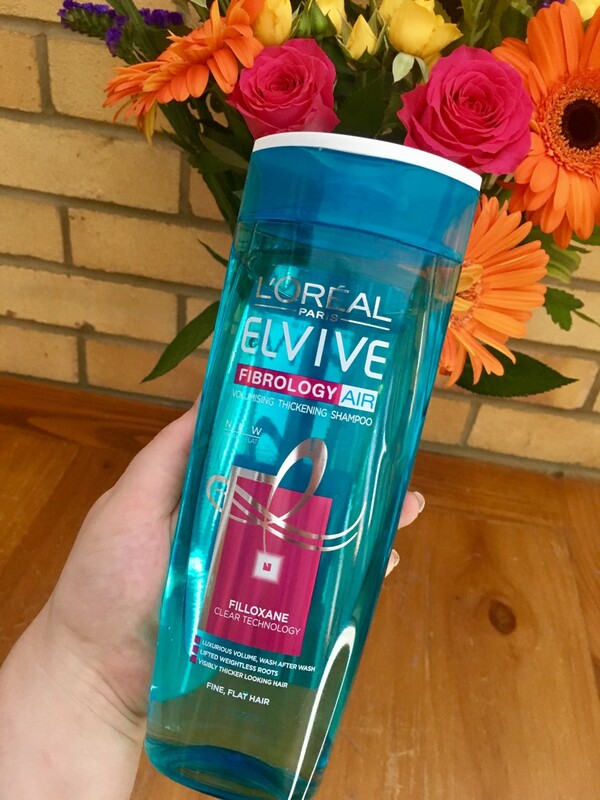 I have used so many expensive products in the past but the shampoo and conditioner from Fibrology Air line, accompanied by the dry shampoo has been working so well for my hair, and now I use these products all the time. 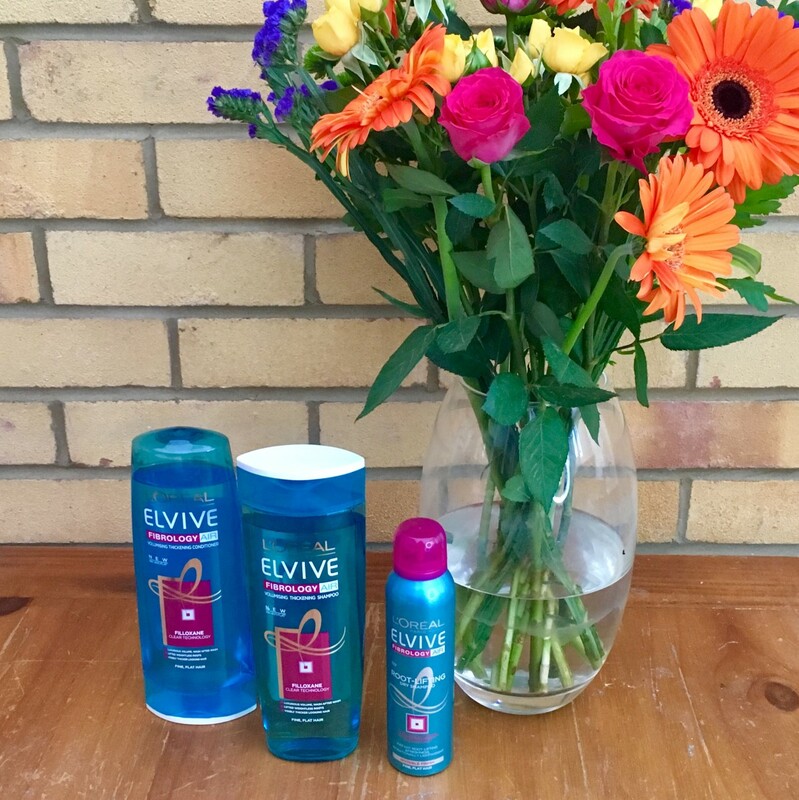 I have always been a massive fan of the L'Oréal Elvive range, and you may have read my post that I wrote a few months ago where I told you about the Extraordinary Clay collection that I was loving. I have been using the Clay collection ever since but wanted to change it up. Fibrology Air has been introduced into the market as a product that is for those who are looking for volume and texture without the finish being heavy. For those who struggle with fine hair, this range is perfect because it will provide lift for up to 48 hours after washing. I have always had thick hair, but after years of straightening, it has become thinner and I find that I lack the volume I need to hold any curls. 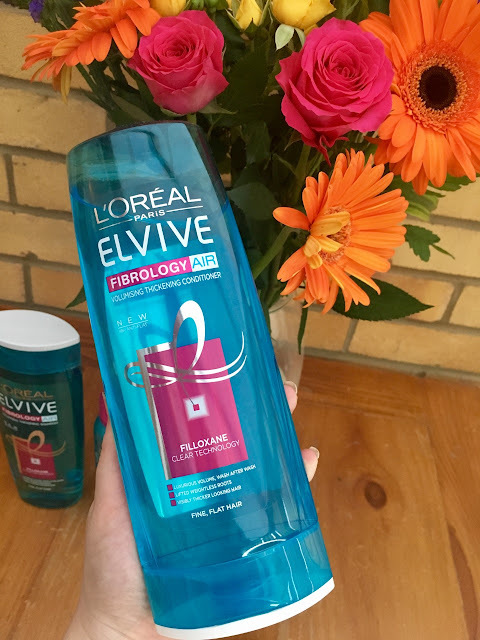 Therefore this shampoo from the Fibrology Air range is amazing and works really well for what I need. The shampoo is clear in colour and has the texture of a thick gel, that leaves my hair feeling fresh and smelling amazing. L'Oreal Paris states that this product offers up to 48 hours of volume and anti-flat, and it definitely does that to my hair type. 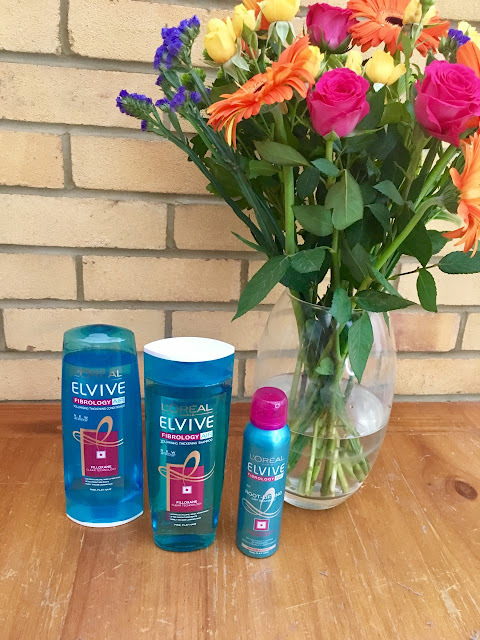 I have noticed since using it that my hair is looking and feeling thicker, but it also adds lift to the roots of my hair and gives me volume overall; which is perfect if you want big and bouncy curls. This shampoo has become one of my favourites and I have only been using it for the last week and a half but I have noticed that it really cleans my hair but also adds the volume that I desire. The shampoo is available for £3.99 (here) which is an absolute bargain! The conditioner is crystal clear in colour, like the shampoo, and is something that I have never seen before. Conditioning is one of the most important stages in any hair routine, as it will leave your hair with a gorgeous shiny finish. However, it can be a hassle and some people are not too fond of conditioning their hair, because of the heavy formulations. If you are one of these people then you will love this range, because the formulation of these products are not heavy. Even though it is lightweight, it does exactly what a conditioner should do. It has the same scent as the shampoo, which reminds me of raspberries and I am just intrigued by the crystal clear formula. It gives a beautiful finish to my hair, as well as reducing knotting and it doesn't leave my hair feeling really dry. For someone with thicker hair, applying a hair masque after conditioning will also help, and I am a massive fan of hair masques. I have the hair masque from the Fibrology range which I have been loving; but I do use multiple masques which is why I didn't include it in this post. This conditioner is available for £3.99 (here)! I have never been the biggest fan of dry shampoos, as most will leave a white residue on my hair which then takes ages to brush out. 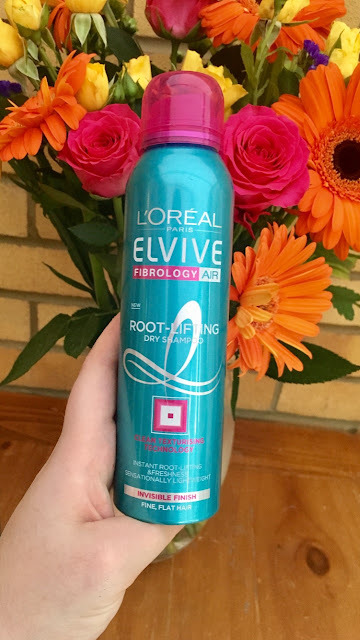 However with this new Fibrology Air dry shampoo I have noticed that it doesn't leave any residue in my hair and I can quickly style my hair with this before going out. It just adds a bit more volume and I will often spray some of this in after drying my hair and before curling it, just to give some more volume especially in the roots. This just gives me a nice workable texture and is perfect for getting that volume that I desire when I am curling my hair. It's light formula helps to absorb and capture any excess oils to leave you with a fresh and lifted result. Throughout the day, I will sometimes notice that the volume will start to disappear so this dry shampoo is perfect for touch-ups and will just give that boost of volume that you want to last for the rest of the day! This is also available for £3.99 (here) which I think is such a bargain for a good quality dry shampoo. There are other products in this range, including a masque and serum that are all available from Boots and Superdrug and are all really affordable. If you prefer an opaque shampoo and conditioner then the L'Oréal Fibrology range also offers that option as well! !